Air-conditioners have been an essential electrical appliances in Singapore to keep us cool and comfortable. With the hot weather in Singapore, we can see that air-conditioning system are widely installed in many different premises such as home, office, building, warehouse, shopping mall, church, canteen, cafe and many more. In order for your air-conditioner to efficiently provide cooling air for your home or office, it is important to keep them in top notch condition. This can be achieved by having regular aircon servicing and maintenance. 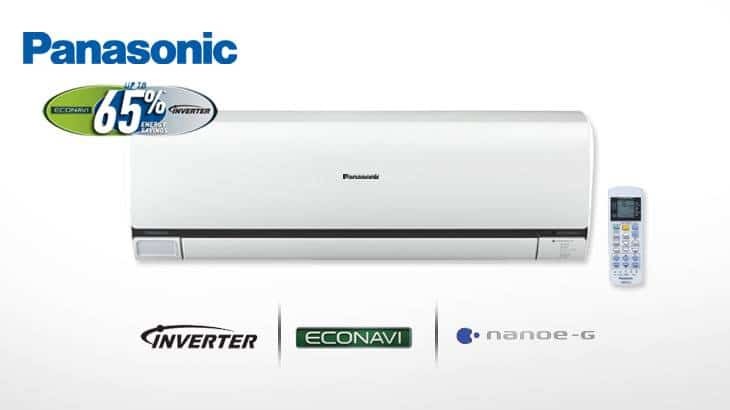 If your home or office is using Panasonic aircon Singapore, it is best to engage regular servicing and maintenance. If you are looking for a reliable Panasonic aircon servicing or repair company in Singapore, do not hesitate and call us today. With our experience and technical knowledge in servicing and repairing Panasonic aircon, we are your one stop aircon maintenance company in Singapore. Panasonic is well known for manufacturing quality electrical appliances and electronics. They manufacture a wide range of products such as health care appliances, audio products like telephone, visual products like television and much more. Of course, air-conditioner system is another quality products manufactured by Panasonic. Their appliances and products have been distributed worldwide where you are able to see the Panasonic brand across different countries and have been part of our daily life with the use of various Panasonic products. It is well known that Panasonic produces excellent products that is durable and they are also constantly producing products that have the latest technology innovation across different industries. With our years of experience in the air-conditioning industry, we are capable in servicing, repair, maintenance, chemical wash and installation for wide range of aircon brands, models and different types of air-conditioner, this include Panasonic aircon Singapore. Thus, if the brand of your home or office air-conditioner is Panasonic and you are looking for Panasonic aircon servicing or repair services in Singapore, we are able to provide you with quality services for your air-conditioning system. Feel free to contact our friendly staff to book an aircon servicing appointment with us today. At Wei Wei Aircon, our teams of technicians are all qualified and well-trained. Hence, if you happen to encounter problems with your air-conditioner, our experienced technicians will first head down to your home or office and have a thorough check on your Panasonic system. With their experience and technical knowledge in various air-conditioners, they are able to diagnose the problem you are facing and rectify it efficiently. Other than fixing your air-conditioner, they are able to perform regular aircon servicing and maintenance services which is important in keeping your units in good working condition. When performing checks and servicing, our technicians will ensure that different parts in the air-conditioning system are cleaned, ensure refrigerant is at an appropriate level and other parts and components in the system are working. All these checks will ensure that your Panasonic aircon is in good working condition and able to detect potential issues and rectify it. Be it residential, commercial or industrial premises, we are able to repair and service wide range of air-conditioning system in Singapore such as Panasonic wall mounted aircon, Panasonic ceiling cassette aircon and many more. We also specialise in different types of air-conditioner such as inverter or non-inverter Panasonic air-conditioner and also ceiling ducted aircon or ceiling suspended aircon or cooling split system aircon. With our qualified technicians, they are able to perform quality Panasonic aircon repair services where they will diagnose the cause of the problem, propose solutions to our customers and fix the problem. By engaging our repair and maintenance aircon services we are able to keep your system in excellent working condition and maximise its cooling performance with our expert knowledge and experience. Air-conditioner works the same as other machinery where there is a lifespan in each aircon and during these periods, there will be issues surfacing such as faulty parts, refrigerant leaks, clogged aircon and other problems. Hence, it is best to engage a professional for regular Panasonic aircon servicing to upkeep the condition of your system. At the same time, regular checks on your units will be performed and detect any problem and fix it in the early stage. If you ever face problems with your Panasonic system, it is best to hire a qualified Panasonic air-conditioning repair company and get your units repaired professionally. We offer professional repair services for different types of Panasonic air-conditioner, call us today to get your units repaired by our qualified technicians. When your air-conditioner operates, there will be dust, dirt and debris that will accumulate over time in the air-conditioning system. If your Panasonic units are not being regularly serviced and depending on the environment and usage of your air-conditioner, this may cause your internal system to be jammed. In this case, general servicing may not be able to improve or clean the units thoroughly. Hence, aircon chemical wash will be able to wash your air-conditioner thoroughly and eliminating all the dirt, dust and debris. There are many benefits of engaging our Panasonic aircon chemical cleaning services. The benefits include improving cooling performance, maximise efficiency, stronger air flow, cleaner air quality, extend lifespan of equipment and many more. Hence, if you are looking for aircon chemical washing for your Panasonic air-conditioner, call us to book an appointment today. Despite the fact that Panasonic air-conditioning system are built to last in extreme weather like Singapore, however, all aircon brands are the same where regular aircon maintenance is required to keep the system in tip top condition and performance. Hence Panasonic aircon maintenance will still be required to maintain or maximise its efficiency and performance. During the maintenance of your system, it is not as simple as cleaning and servicing your aircon. Our qualified and professional technicians will perform regular checks on the different components in your Panasonic units to ensure that they are in working condition and operating smoothly. This is important as we are able to detect potential problems in the early stage and get it rectified. If an aircon problem is not being fixed in time, the problem could worsen and harm your system. This could eventually cause you additional repair cost instead. Thus, get in touch with us today for quality and professional Pansonic aircon maintenance servicing. Getting your Panasonic air-conditioning system installed by professional and certified aircon installation company is important. A professional installation company not only provide quality installation service, but also able to advise on the appropriate and suitable aircon system that can suit the air-conditioning needs for the customers. This goes the same for aircon replacement services for your home or office. Other than providing services such as service, repair, maintenance and chemical wash, we also provide Panasonic aircon installation services in Singapore. Regardless, you are looking to install Panasonic wall mounted aircon or Panasonic ceiling cassette aircon in your home or office, you can look for us as we are able to meet your air-conditioning needs. With our certified aircon installer in Singapore, we are able to install the most suitable Panasonic air-conditioning system for your home or office based on your aircon needs. If you are looking for a reliable and professional aircon servicing and repair company in Singapore, you can contact us. Wei Wei Aircon have been in the air-conditioning industry for over 20 years, with our expertise and experience, we believe that we are able to provide quality Panasonic aircon services. Thus, you can trust us in maintaining your system in top notch condition. Call us to book a servicing appointment today.